Do you Play Dragon City? Join GameHunters.Club our members share free bonus, tips, guides & valid cheats or tricks if found working. Check out the Dragon City Bonus page to see the full list. If you need to add friends for gifting or exchanging game-items you can check or join the Dragon City Add Me List. GameHunters.Club is a Fan Site and is not endorsed by or affiliated with Dragon City. All Trademarks are the property of respective owners. If you love this game, support it by purchasing premium items in the game or follow the official Dragon City social media channels. Dragon City Cheat to get infinite money, habitat and farm. This cheats use cheat engine follow the guide enable the cheat. Join the Forum, Discuss anything about Dragon City. You can talk about tips, tricks, cheats, ask for help or simply introduce yourself to the club. These are the most recent topics and posts on Dragon City Forum. Do you know any of this topics? Help players by posting about this topics on Dragon City Game Post section. Black Friday sales are here! We have CRAZY offers on: -> Heroic Dragons!!!!! ... -> Dragons with Power stars! -> Plus amazing offers on Dragons in the shop. Don't miss out on obtaining dragons to finish your collections! Head to the game now! 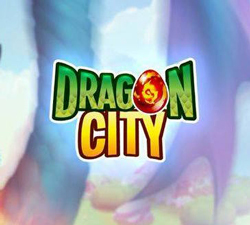 ➸ http://dragoncity.socialpoint.tv/DC_PlayNow Which Dragons are you hoping to find on offer? Dragon Masters, very soon, we are going to apply changes to the way we calculate the Dragon Master Points (DMP). We are adding more ways to obtain them! Please see our forum for the FULL details -> http://dragoncity.socialpoint.tv/DMPointsChanges Let us know your thoughts in the comments below! Sorry for confusing you yesterday! We just wanted to confirm the correct combination for the breeding island event, which has also been corrected in-game for you. For future events make sure to check the info on the breeding island itself. Breeding combo is: Aztec Warrior Dragon (catacombs island) + Dejavu Dragon (from videos) = Surprising Dragon... Thank you for your patience and sorry for the mix-up! COMMUNITY Dragon Card Pack - Day 5! Last one! VOTE below for the option you want as part of the Community DCP! Dragon Masters, the Alliance Race is almost halfway through! As a reminder, once halfway, members can’t be kicked out & switching Alliances means you won’t get leaderboard rewards, but you can still contribute points. What Lap is your Alliance on? Let us know in the comments below! COMMUNITY Dragon Card Pack - Day 4! VOTE below for the option you want as part of the Community DCP! COMMUNITY Dragon Card Pack - Day 3! VOTE below for the option you want as part of the Community DCP! COMMUNITY Dragon Card Pack - Day 2! VOTE below for the option you want as part of the Community DCP! COMMUNITY Dragon Card Pack - Day 1! VOTE below for the option you want as part of the Community DCP! Well done everyone!! Deus got his, did you get yours? Make sure you claim your Global Challenge Rewards today! Also, don´t forget to claim your Global Challenge Calendar Prize! The Alliance Race event is back! Together with your Alliance members, compete in this epic race to claim the second Primal Heroic Dragon in Dragon City: High Zephyr Dragon! Play now and keep writing your #DragonCityStory ! We know you have been waiting, so here it goes.......... The High Zephyr Elements are: Primal, Light, Flame and Ice!! Did you guess it? Share with us below your thoughts! With the Alliance Race just around the corner (Mobile Only) it's very important that you find the right Alliance! Use this post to recruit players or to say you're looking!!! Dragon Masters, The issues with Summoning the Goblin Dragon and the Alliances are now fixed. Thanks again for all of your reports! The team would like to apologise and wish you all a good Sunday! Breed cool dragons, make them grow and combat with friends in a world of magical islands!